Playing chase or hide-and-seek with the neighbors. Hours of pretending the cellar door was a mountain that had to be conquered and then rolling down the gentle hill to start over again. Taking turns being the “mother duck” and letting the real ducks follow us all over the yard. Sitting in the back seat with my brother and cousin while our mothers would look for birds and being told to “Be quiet”. A lot. Staying up late and then rushing to turn the TV off before the National Anthem was played and the test screen signaled the end of another day. Climbing the antenna tower that held the TV antenna that provided all three television stations. Trying to crawl under the house, only to chicken out because is was dark and spooky and just thinking about it made it hard to breath. Walking along the creek and gathering cattails and wild flowers or running through the deep gully’s that were cut into the red dirt. Gathering eggs in the evening with my grandmother or watching her scoop the cream off the top of the bucket of milk that Grandpa brought in after milking the cows. Watching Grandpa “saucer” his coffee in the morning while eating hot biscuits with fresh churned butter. Going to the lumber yard with Daddy to get a new jump ropes: one long enough to use with friends at school and one just long enough to jump alone. Learning to jump rope and hula-hoop and climb the monkey bars and play kick-ball and twirl a baton with my friends at school. Complaining about the pins when I had to try on new clothes my Mom was making for me. Taking my sister to the swimming pool in the front basket on my bicycle. The excitement of a birthday party. Sitting on Granny’s front porch eating watermelon or Easter eggs or home-made ice cream. Hours spent selecting and then playing with paper dolls cut out of the Sears, Montgomery Ward and Penney’s catalogues with my aunt. Taking a cold drink on a hot day to my dad while he plowed the wheat fields and then getting to ride the tractor with him. Early morning swimming lessons with Mr. Erwin in the COLD water of the City Pool. I was always so eager to be older and to be an adult. Adulthood has its good points, but it also comes with LOTS of responsibilities. Enjoy today. You will never get it back. 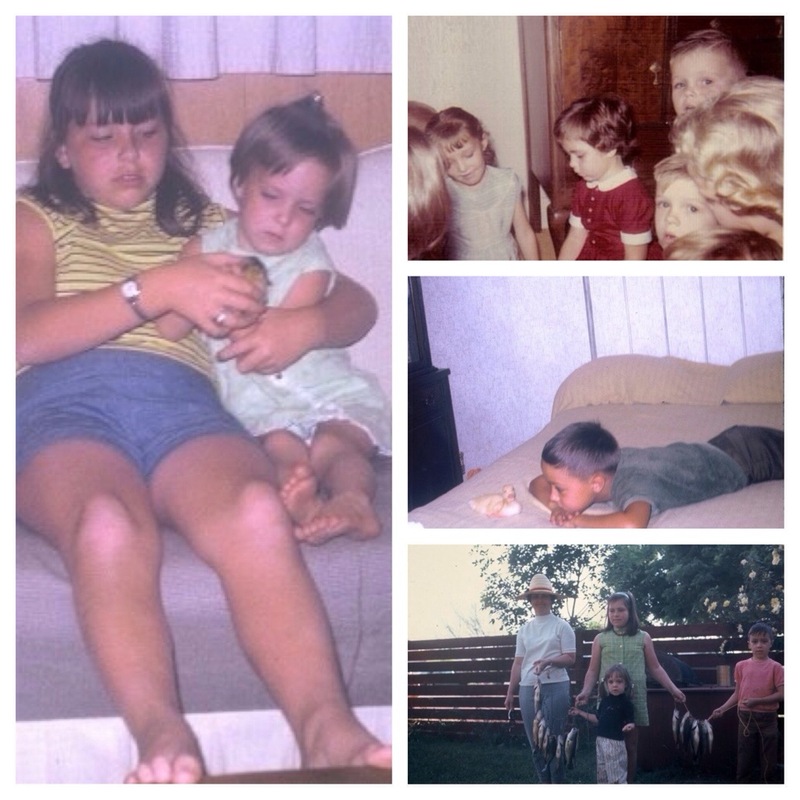 This entry was posted in Change, family, Friends, memory, Uncategorized and tagged childhood, family, memories. Bookmark the permalink.